External and internal auditors review corporate processes and controls, ensuring such controls conform to regulatory guidelines, industry practices and professional standards. A bachelor's degree in auditing or accounting is usually needed for an audit position. 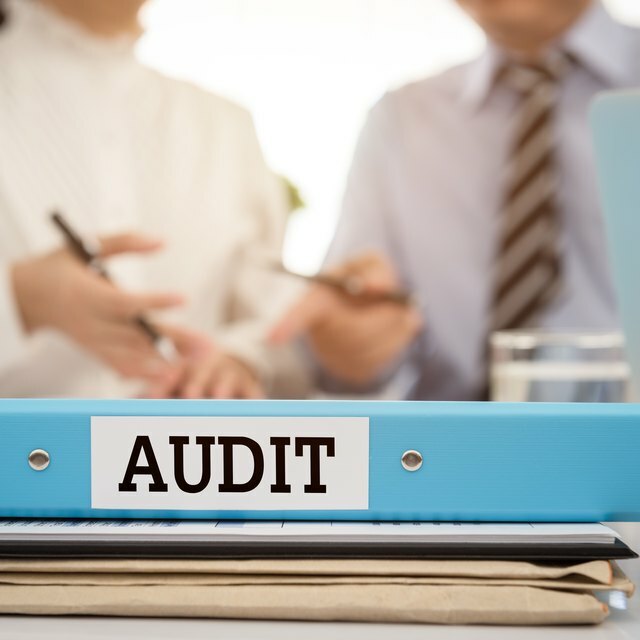 Internal audits help a firm ensure that operating processes and controls comply with generally accepted auditing standards, top leadership's recommendations and human resources policies. An internal auditor also ensures that employees abide by government regulations when performing duties. Internal audit activities play a significant role in business risk-management processes. They usually help top leadership identify, measure and monitor risks inherent in corporate activities in the short and long terms. An external auditor reviews the operations of a company at the end of each year and ensures that internal processes conform to regulatory directives. Such directives include rules the Securities Exchange Commission promulgates on a regular basis. External audit activities help investors and regulators ensure that a company's financial statements are accurate and complete. A complete set of accounting reports includes a balance sheet, statement of profit and loss, statement of cash flows and statement of retained earnings. Internal audit procedures are distinct from external audit activities, but there are instances in which they interrelate. For example, an external auditor may use the work of an internal auditor when reviewing an area or corporate process. AuditNet: The Internal Audit Process from A to Z: How It Works!